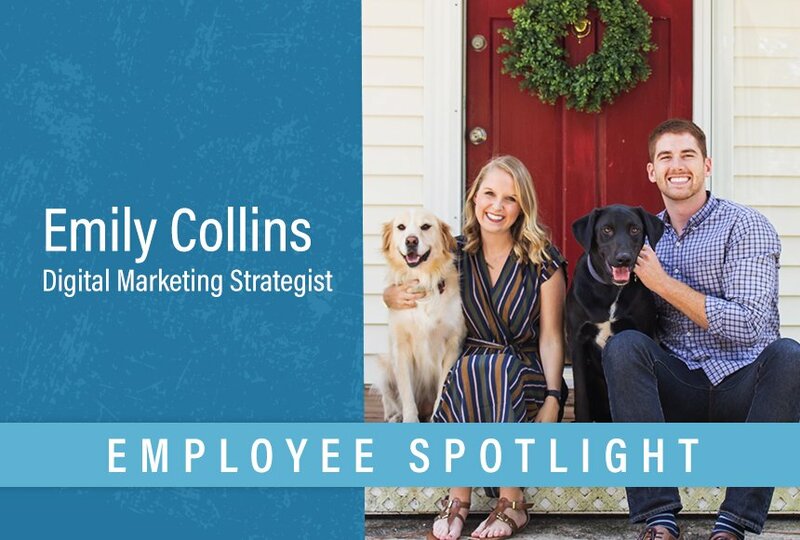 Next up in our employee spotlight series is Digital Marketing Strategist Emily Collins! 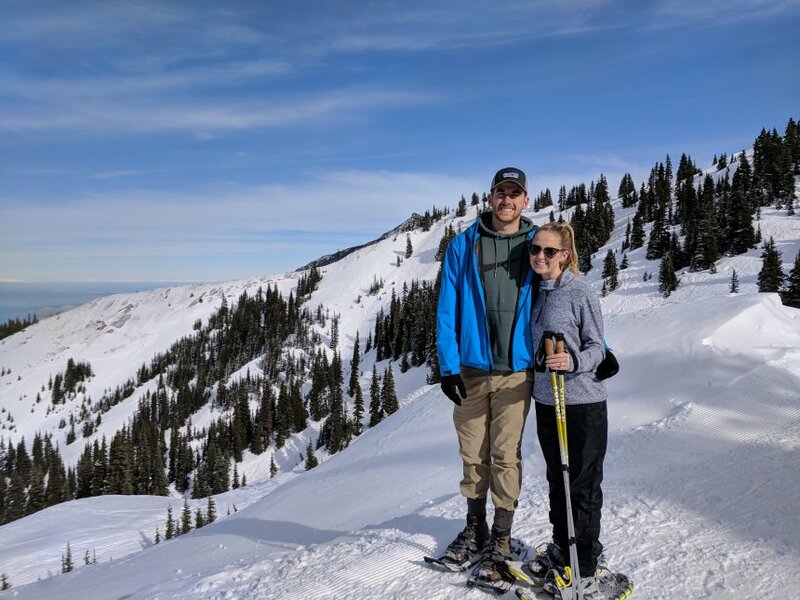 Emily is sharing what a day in her life looks like, how she balances the many hats she wears as a strategist and even a book that has been inspiring her daily! As a Digital Marketing Strategist, I am responsible for the successful management of digital strategy for all partners. By using creative and innovative strategies, I work to achieve our partners’ specific brands and business goals. I oversee web traffic and performance metrics to forecast trends and offer suggestions to continuously improve and grow our partners’ businesses. I was brought on in April of 2017. My workday starts around 8:30 a.m. and I like to start the morning by reading any newsletters I’m subscribed to, scrolling through LinkedIn, or reading industry-specific blog articles. Once I’m somewhat awake and alert, I’ll typically spend time catching up on emails, checking timelines, communicating with my pod, reviewing performance metrics on social media, and creating an action list for the day. No day looks the same in my world, but you can usually find me writing or editing content, planning content for social media, reviewing our content calendars, working on a partner’s strategy, delving into Google Analytics, writing newsletters, preparing for partner meetings, chatting about strategy with our partners, or building analytic reports… just to name a few things. And, there’s probably a few video meetings and puppy snuggles thrown in the mix, too! Keeping a to-do list nearby is the best thing for me. I prefer a handwritten list, so I can take joy in crossing something off or checking boxes! Like I mentioned earlier, each morning I create an action list. The action list I create is based off of my longer to-do list. Something that has helped me recently is to only open my email a couple of times a day, rather than keeping it open in my browser. Muting messaging notifications works, too! Anything that can limit distractions and keep me focused! Working from home presents itself with a few different challenges that an office worker might not experience. My desk location is honestly different every day. Most days, however, you can find me at my kitchen table. I’ll have my laptop opened, headphones on, my notebook and pen handy, and usually a glass of water. That’s really it! I’m pretty simple! Underneath my desk/kitchen table you can usually find my two favorite four-legged coworkers snuggled up and snoozing. Among the many, many things I’ve learned, I can mostly summarize my favorites in two phrases: First, NEVER stop learning and second, failure is NOT a bad word. They speak for themselves! This is probably not an answer you expected, but lately I have worked towards reserving Friday afternoons as my personal development/learning time. This requires that I get work done earlier in the week to ensure that I have the space available to do this. However, reading up on blogs, watching videos, or taking classes really helps me to sharpen my skills. I am a huge proponent of the mindset to be constantly learning and growing in your field. My husband and I love hosting people for dinner - we really enjoy cooking together and gathering with friends! We love to hike with our dogs, travel when we get the chance, or do anything outside, really. When it gets warmer, you can find us on the water, kayaking or fishing. Personally, I really enjoy decorating, gardening, reading, working out, and being behind the camera for my photography business that I pursue on the side. Last January, I read the book ‘Refresh’ by Shona and David Murray. Although that was a year ago, (and I promise I am actually reading things now, too) the principles discussed in that book are some that I reflect on DAILY. The subtitle of the book reads: “Embracing a grace-paced life in a world of endless demands” - something we all long for, right?!? I highly recommend it!! I am SUCH an introvert. My job requires me to execute quite a few presentations or lead regular meetings with partners, which I am totally comfortable doing, but I would prefer being in the background any day. I love spending time with friends and having people over for dinner multiple nights out of the week, but I can guarantee you that my weekends are spent resting and recharging away from people. My energy truly comes from being alone (with the exception of my husband, of course). My heart is happiest when I’m at home. Oh - and, I hate coffee. This team is truly like a second-family. If you have to spend 8 hours of your day working, you might as well be surrounded with people who you like! I am constantly inspired, encouraged, and challenged by my coworkers. I know that this team believes in me and has my back, no matter what. Having that mindset really pushes me to be my best each day.